So what does one do with these flavor spheres? Are they strictly novelty? I sure hope not because they’re pretty cool. From my first encounter, I knew I wanted to do something with Spherification, but I wanted it to be useful. My first idea was to make an ice cream with alcohol. Here’s the idea: Normally, mixing alcohol and ice cream will yield a cold soup, since alcohol has a very low freezing point. Can spherification provide a barrier around alcohol that will enable it to be mixed with ice cream? I set out to find out. 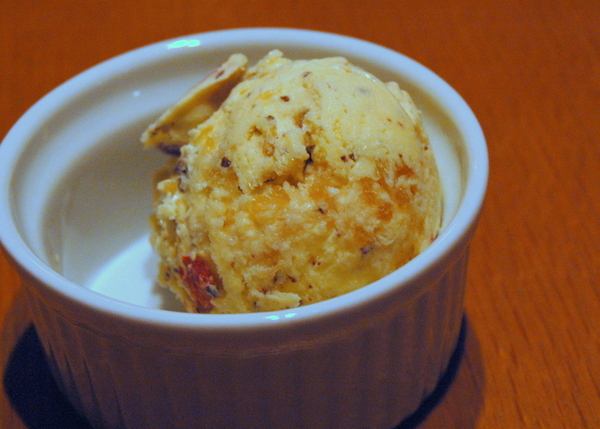 The inspiration for this ice cream is a cherry cordial: dark chocolate, almond liqueur, and cherry. Making ice cream isn’t for the impatient. It’ll take at least 2 days. 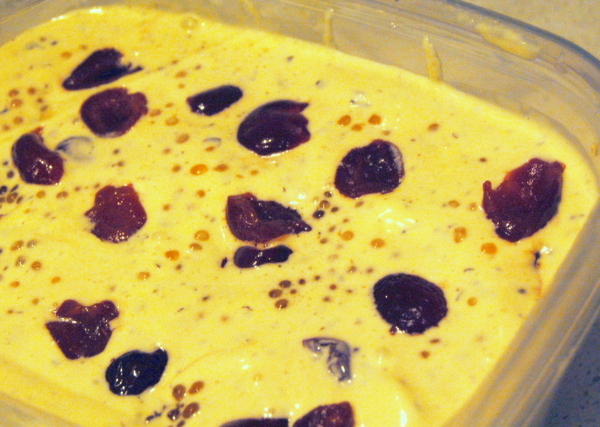 Follow Alton Brown’s recipe for the custard base, with adjusted ingredients. When the custard is finished on the stove top, it needs to cool and be refrigerated for several hours, preferably over night. Prepare the alginate / water mixture in my spherification recipe and set it aside for a few hours. This can go in the refrigerator, covered, overnight. 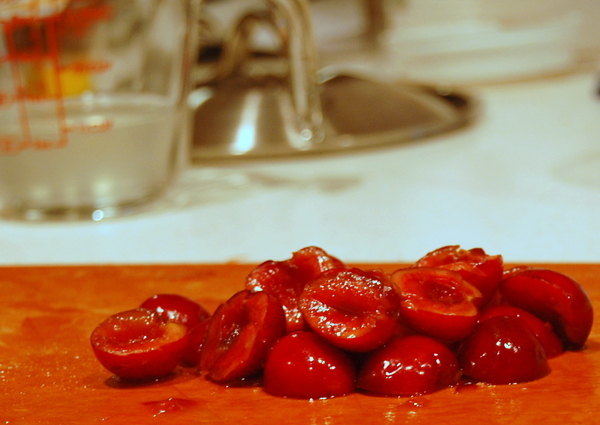 Follow David Lebovitz’ recipe for candied cherries, but scale the recipe back to 2/3. Take the cherries out while they still have some structure so they’ll hold up better in the ice cream. Quater the cherries and set aside. Use a double boiler to melt the chocolate. Prepare the calcium chloride bath for spherification. Add some of the alginate / water mixture to amaretto. Test. Repeat until spherifying takes, but don’t make your spheres just yet. Begin freezing the custard in your ice cream maker. Make the spheres. Make lots of them. The volume of the ice cream after freezing will be 7-8 cups (300-400 teaspoons). 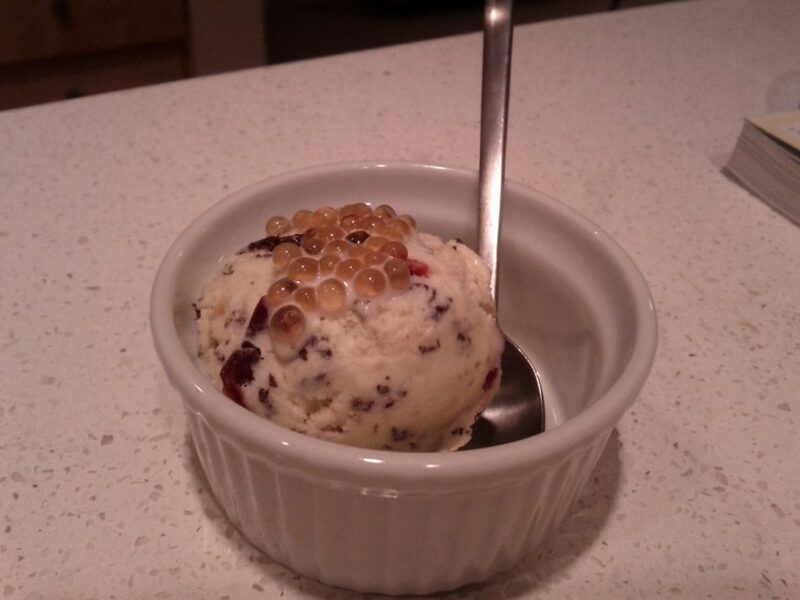 If you want some spheres in every spoonful, you should make at least 400 spheres. 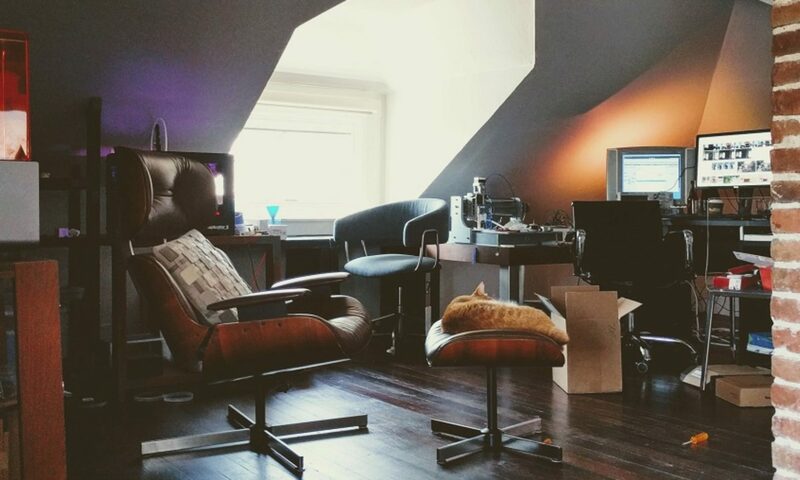 Freezing time varies, but mine usually takes ~20 minutes. Right before it finishes, take the melted chocolate and drizzle it into the mixing chocolate to make stracciatella. Don’t add the cherries during the freezing process or they’ll get beaten up and muddy the ice cream. Don’t add the spheres during the mixing process because they won’t hold up. Finish freezing the ice cream. As you are transferring it to a container, sprinkle in the cherries and spheres. Seal it up and put in the freezer for a few hours, preferrably overnight. Day 3: Ready to eat. Alternative serving suggestion: Use spheres as a topping.